With almost the last kick of the match, Gabriel Jesus not only secured a record 32nd Premier League win for Manchester City, he also helped team-mate Kevin De Bruyne claim the first Premier League Playmaker of the Season award. Going into the match, De Bruyne was tied on 15 assists with team-mate Leroy Sane, whose hat-trick of assists in the midweek win over Brighton & Hove Albion had brought him level. City struggled to create much at St Mary's Stadium but, in the fourth minute of stoppage time, De Bruyne's raking pass over the top found Jesus and the Brazilian converted to give the Belgian his 16th assist of the season. 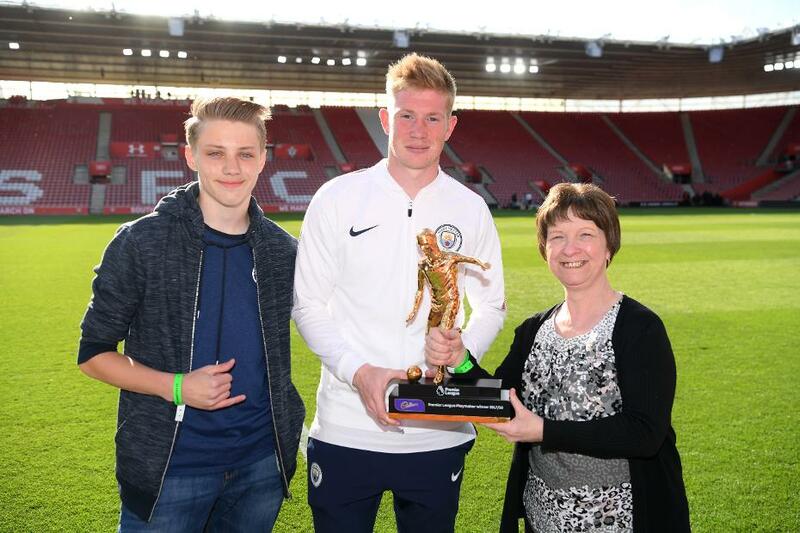 After the final whistle, De Bruyne received his prize from City fan Jeannette Butcher and her grandson Liam Hogger, who earned the right after winning a competition run by Cadbury, who presents the award. "It feels good [to win the award]," De Bruyne told City's official website. "It means I have done a good job. "I’m a creator and I try to create chances for my team-mates. If they score, I get the assist and I look good!"